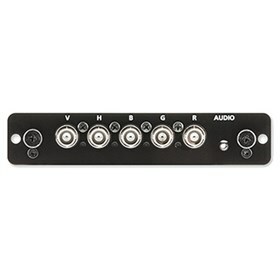 The NEC SB3-AB2 is analog video expansion board which adds 5BNC and audio mini jack in to the connectivity interface. The NEC SB3-AB2 has many exciting features for users of all types. See the NEC SB3-AB2 gallery images above for more product views. The NEC SB3-AB2 is sold as a Brand New Unopened Item.